Tax reform package unveiled in Springfield. The three-bill package, sponsored by House Republican Rep. Peter Breen, seeks to build upon taxpayer demands for tax relief and reform. Breen and his co-sponsors are focusing on households that are affected by property taxes. Recent changes in federal tax law have changed and limited the ability of local governments to share the burden of their tax levies with the federal government. Households will no longer be allowed to deduct a consolidated burden of state and local income and property taxes that exceeds $10,000 per household. The former federal tax law allowed state and local governments, such as those of Illinois, to raise their taxes over and over again, with the federal government bearing a large share of the fiscal impact of these increases. The new federal tax law prevents state and local governments from doing so. Rep. Breen and his cosponsors agree that the education of children must continue to be one of our highest priorities. HB 4563, a key component of the tax reform package, builds upon the Invest in Kids Act and the existing institution of scholarship foundations. Educational scholarships, and the 501(c)(3) funds, have established standing in American tax case law. HB 4563 allows Illinoisans to make fully deductible charitable contributions to 501(c)(3) foundations that support public schools. Private school foundations are already covered by the existing Invest in Kids Act, which this bill would expand. Taxpayers will be able to make annual contributions to school district foundations up to the total amount of their state income taxes and residential property taxes, in exchange for a tax credit equal to 100% of their donation. Moneys no longer paid in conventional taxes would be dedicated from payments made to public schools under the state school aid formula, leading to no net loss of tax money for other general revenue-funded purposes. Two other bills in Rep. Breen’s package are HB 4376 and HB 4562. HB 4376 reforms the relationship between 529 plan programs and the ABLE Act for accounts to support persons with life challenges, and HB 4562 reforms the structure of self-employment unemployment insurance. All three bills have been assigned to the House Rules Committee. COGFA issues state budget and cash flow report for January 2018. The month-ending report for January 2018 from the Commission on Government Forecasting and Accountability (COGFA), the General Assembly’s budget watchdog office, indicates that Illinois’s tax revenues are responding to the overall conditions of prosperity currently being enjoyed throughout the United States. The nationwide jobless rate ended 2017 at 4.1%, a 17-year low reflecting numbers not seen since the so-called ‘dot-com boom’ of the late 1990s. Illinois has not, however, fully shared the benefits of this economic boom. The Illinois unemployment rate was 4.8% in December 2017, significantly higher than the nationwide jobless rate. Year-over-year revenues enjoyed by the state from taxes charged and collected in January 2018 continued to run well ahead of the comparable numbers brought in during January 2017, although much of this increase continued to be credited to higher state income tax rates rather than true economic growth within Illinois. Illinois collected $2,755 million in personal income tax revenues in January 2018, up $980 million from January 2017. Overall general funds revenues and transfers were up $1,084 million during this 31-day period, with increases in state personal income tax receipts accounting for more than nine-tenths of the increase. The numbers reflect Illinois’ current individual income tax rate of 4.95%. Other key revenue sources, such as sales taxes and the Illinois State Lottery, were flat or negative as a reflection of overall changes in U.S. and statewide economic patterns. While U.S. consumers as a group appear to have money to spend, an increasing proportion of these monies appears to be going to housing, untaxed purchases of services, and online/interstate untaxed purchases of goods rather than the purchase of goods at traditional retail shops and stores. The bankruptcy announcement filed on Monday, February 5 by department store chain Bon-Ton Stores, operator of stores in Illinois and other states under names that include Bergner’s and Carson’s, was a reflection of these overall trends. The changing direction of U.S. retailing continues to affect Illinois’s statewide tax collection and employment picture. Murphysboro facility set to reopen soon with 63 jobs for Southern Illinois. The Re-Entry Center will be a pre-release facility for the Illinois Department of Corrections (IDOC). The Center will occupy space originally built as the Illinois Youth Center – Murphysboro in 1997. Changes in juvenile justice led to the shutdown of the original facility in 2012. House Republican Rep. Terri Bryant has fought to reopen the structurally-sound building complex as a center for inmates who need vocational training, education, drug rehabilitation and alcohol rehabilitation. The Murphysboro Re-Entry Center, set to reopen in March at a date not yet finalized, will not be a halfway house. Its 240 residents will not yet have been released into their communities. 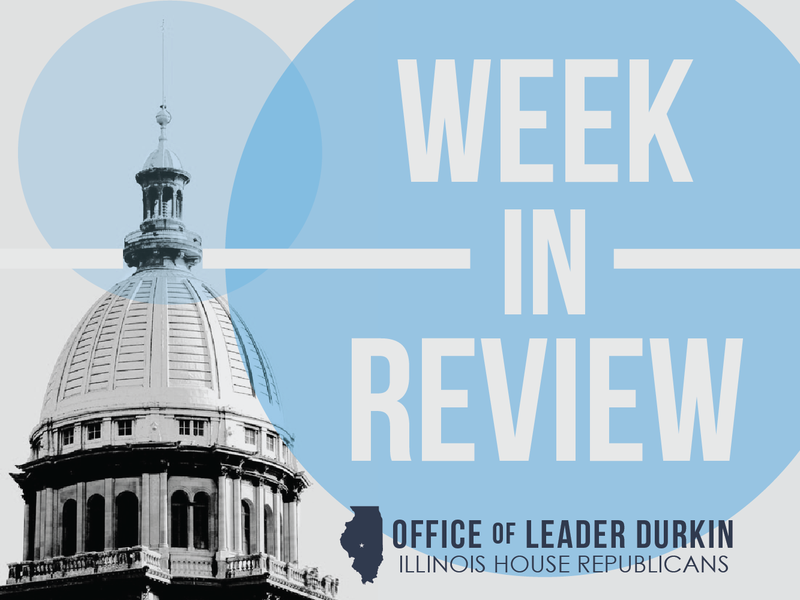 It will be a center for pre-release behavioral retraining and behavioral modification, intended to create Illinoisans who can make a place for themselves in their state. The lawmaker praised the Department of Corrections for its investment in the re-purposed facility. “It’s a win for the inmate and a win for the state,” Bryant says. Major demand for “Invest in Kids” scholarships. The scholarship program, enacted by the General Assembly in 2017 and signed into law by Gov. Rauner, provides tax support to school donors. In “Invest in Kids,” donors give money to programs that provide scholarships to students in elementary and secondary schoolrooms. The program is meant to give students from working-class and economically challenged families some access to private school educational opportunities that would not otherwise be available to them. The State of Illinois supports the Invest in Kids program by granting tax credits to approved donors. The Invest in Kids program is being implemented for the first time in calendar year 2018. More than 36,000 families have already submitted applications for the scholarships to be made available by the program. The program is currently limited to $100 million in contributions for scholarships and $75 million in tax credits. Not all applicants will be successful in the 2018 cycle. “Invest in Kids” advocates are calling for expansions to the program so that more children can benefit from it. The state Supreme Court pointed to the right of an American citizen to carry a weapon outside the home for purposes of self-defense, upheld by the federal high court in decisions such as “D.C. v. Heller,” and asserted that the blanket prohibition of a personal-protection firearm within 1,000 feet of a public park constitutes an unreasonable burden on law-abiding persons who maintain residences within these “gun-free zones.” The decision is seen by jurists as strongly shading the enforceability of other gun-free zones throughout Illinois, including zones that surround schools, courthouses, and public housing complexes, although these zones were not specifically covered in the fact pattern litigated in “People v. Chairez.” The court hinted that a similar-sounding law could be allowed to stand if it were aimed specifically at non-law-abiding individuals. For example, a follow-up law could create the enhanced criminal offense of being on probation or conditional discharge (when one is not supposed to carry a gun anyway) and carrying the illegal gun within 1,000 feet of a park or school. Survey of higher education graduates shows Illinois is 13th of 50 states. Illinois outranked almost all states in the interior of the United States in percentages of residents with bachelor’s and graduate degrees. High-ranking states tended to be located on the East Coast. Two exceptions, Colorado and Illinois, were heartland states centered on big cities with world-class airports. The rankings were generated by database presenter WalletHub, which examined key factors across the 50 states that are used to gauge a well-educated population. Factors used by WalletHub include educational attainment, school quality, and achievement gaps between genders and races. Plight of fallen soldier’s family inspires legislative action. House Republican Rep. Mike Unes is sponsoring legislation inspired by a conversation he had with the widow of a fallen U.S. soldier. Her husband gave his life for our country while his wife and their two young children were living in leased housing under a long-term contract. After suffering this loss, the family needed to move, but one of the provisions of their housing required the payment of a penalty for early termination of the lease. In response, Unes sponsored HB 4317, the Service Member Residential Property Act. This new Act provides that if a service member who has entered into certain residential leases is killed in action or while on active duty, then the service member’s immediate family or dependents have the right to terminate the lease. Illinois House committee holds hearing on Bicentennial celebration. The House Tourism Committee discussed Illinois’ 200th birthday at a hearing in Springfield on Tuesday, February 6. Events held in conjunction with the Bicentennial are being featured on the celebration’s dedicated website. The Committee learned how private fundraising has become a feature of this year’s Bicentennial promotional activities. The decision has been made to have Illinois’ 200th birthday be primarily a private-sector event, with taxpayer support limited to staff coordination by entities headed by the office of Gov. Bruce Rauner. Private-sector supporters of the celebration can learn more here on how their donations will be used to celebrate Illinois. Many bicentennial events are already being sponsored. 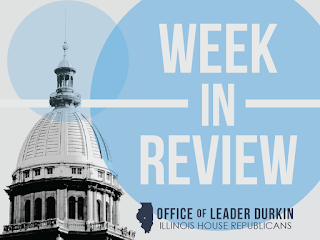 At this week’s hearing, House members expressed appreciation for Illinois residents and firms who are supporting this year’s birthday celebration. House Republican Rep. Tim Butler, a member of the Illinois Bicentennial Commission, is leading the effort to coordinate the General Assembly with the private sector for this year’s celebration. Bradie Tennell of Carpentersville will skate on Olympic ice. Tennell, representing the Skokie Valley Skating Club, is on the U.S. winter sports team after winning a preliminary gold medal at the U.S. figure skating championships. The 20-year-old homeschooled youth has conducted all of her training in the greater Chicago area, working with her coach at the Twin Rinks Ice Pavilion in Buffalo Grove. In a recent interview, Tennell shared her pride at the opportunity to represent the United States at the Olympic Winter Games. The Games are being held February 9-25 in PyeongChang, South Korea. In all, there are more than a dozen Illinoisans competing in this year’s Olympics, including Chicago speed skater Shani Davis and bobsledder Aja Evans.